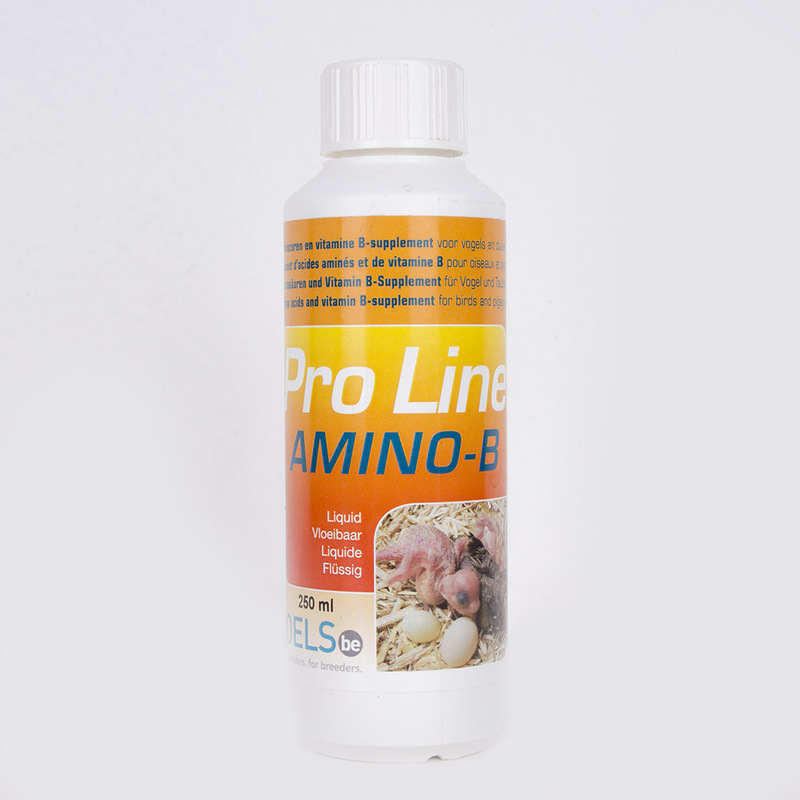 A liquid supplement with a scala of essential amio acids and B-vitamines. It can be used to give a boost before expected stress (such as shows or transport) and to improve general health when birds are in suboptimal health. 10 ml per 1 litre of drinking water. Store in a cool, dark and dry place in sealed packaging. Protect from direct sunlight and freezing.